Two Congress workers who were beaten up by the politician's supporters after he was found dead have been admitted to hospital. TRS leader Narayana Reddy was on way to his fields when eight people allegedly attacked him. 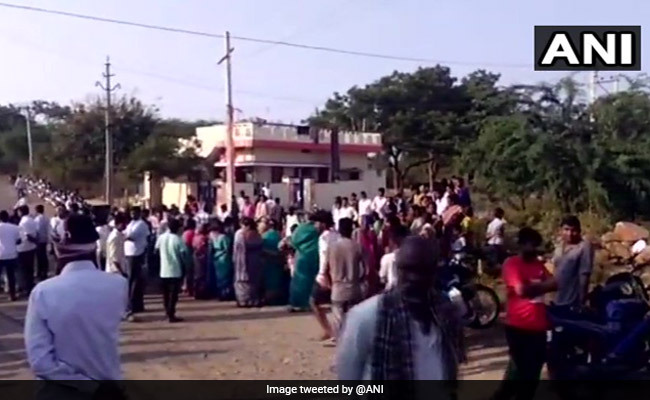 A leader from K Chandrashekar Rao's party in Telangana was found dead this morning following which clashes between Telangana Rashtra Samithi and Congress workers were reported. TRS leader Narayana Reddy was on way to his fields in Vikarabad district when eight people, who were lying in wait, allegedly attacked him. Telangana votes in the assembly elections next month. A case is yet to be registered. Locals said Narayan Reddy had a heated argument with a group of people over a young woman's complaint against a man after their relationship ended. It is unclear if Mr Reddy's killing has any link with this incident as the woman's family supports TRS and the man's family recently switched their loyalties to the Congress. Security has been heightened and the police chief of the district reached the area where the clashes took place. The Congress, N Chandrababu Naidu's Telugu Desam Party and the CPI have formed an alliance in Telangana, where elections for 119 assembly seats will be held on December 7 after K Chandrashekar Rao dissolved the state assembly and called for early elections.